Written by Andres Escobar and Jack Cross. Getting your pet to sit still for a picture is hard. They would much rather be scratching, sniffing or chewing up things they should not be chewing on. Standing up your app in a test environment before taking an image snapshot can similarly be a struggle, especially if the app is driven by many disparate data sources. 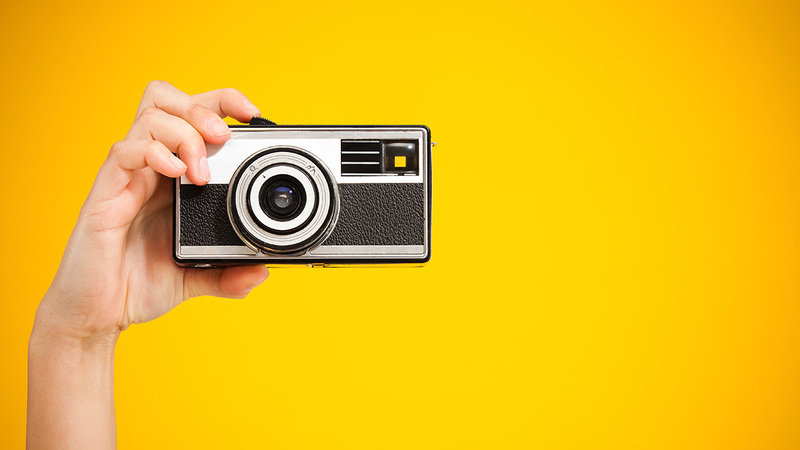 In this article we’re going to share one of several testing recipes we have adopted at American Express that uses jest-image-snapshot and Parrot to write image snapshot tests in a consistent and reliable way. In order to explain the recipe, let’s create a sample app that answers a simple question. 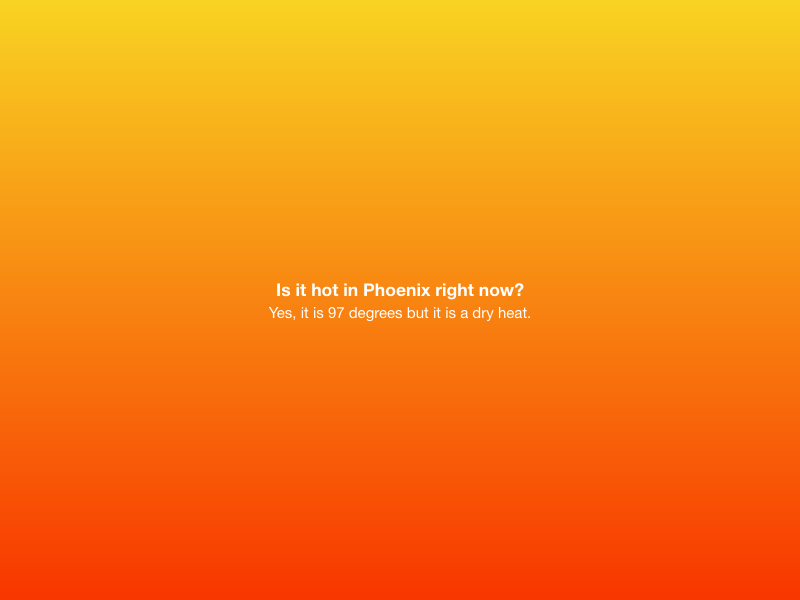 Is it hot in Phoenix? Great! Now we just need to make sure that we guard against future regressions by writing some image snapshot tests. For our image snapshot tests, we’ll use Puppeteer and jest-puppeteer-preset to drive a headless Chrome browser, along with jest-image-snapshot to assert on screenshots, in order to catch visual regressions. To run our sample app during the tests, we will add a jest-puppeteer.config.js to our project’s root. Then we’ll use the global variable browser provided by jest-puppeteer-preset to access the headless browser and take a screenshot of our app. After running our tests, we should now have a screenshot of our app stored in an __image_snapshots__ directory. A few days later we decide to refactor our sample app. Before committing our changes, we run our tests again to ensure that the functionality has not changed, and we realize that one of our image snapshots no longer matches, so the tests are failing. Expected image to match or be a close match to snapshot but was 78.97625000000001% different from snapshot (379086 differing pixels). jest-image-snapshot creates a __diff_output__ folder containing the image diff from our stored snapshot. Let’s take a look at it and see why it is failing. In order to make our tests more reliable, we’ll mock our API responses using Parrot. Parrot is a scenario-based mocking tool that will allow us to create several different data scenarios and easily switch between them. First, we’ll write a few scenarios that we can use in our tests. Next, we’ll update our jest-puppeteer.config.js to start our sample app and also an instance of parrot-server to serve up mock responses. …which we can then use within our tests to quickly and easily switch between Parrot scenarios. Now our tests should pass, and we will have consistent image snapshots, regardless of the weather! This is a simplified and contrived example. However, at American Express we employ the same patterns and tools to test some of our most heavily trafficked applications and have found it gives us the confidence to move faster than we have ever moved before, without sacrificing on quality. The ability to map Parrot scenarios to tests and switch between them during the tests is not only useful for visual regression tests, as shown in this article, but also for integration tests in general. Being able to create a fully controllable and deterministic test environment with the help of Parrot has been huge for us, and we hope it also can be useful to you as well as part of your testing tool belt. For more details on jest-image-snapshot and Parrot, feel free to check out their documentation, as well as the code for our sample app.